Michel Montecrossa and his band The Chosen Few going to the Spirit of Woodstock Festival in Mirapuri, Italy for ten days of Music, Peace and Love. 60 Minutes of stunning free cinema art written and directed by Michel Montecrossa presenting 14 songs and mind blowing cinema vérité action. 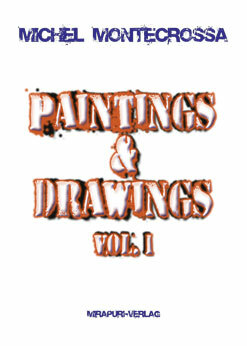 Great songs, emotion and thrilling feel. Share the humanity and joy of the free music revolution. 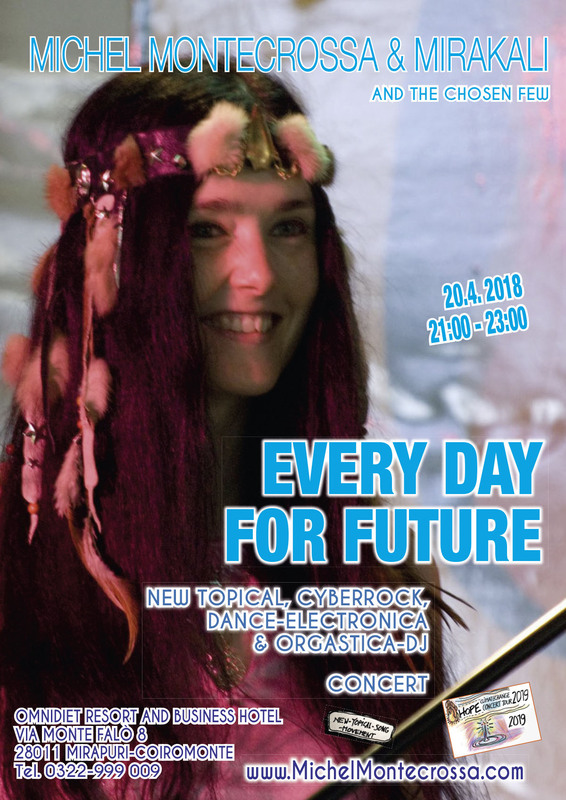 Be on stage with Michel Montecrossa and his bandgirls Mirakali and Diana Antara. Be together with them at the Festival of Love for groovy bar-driving and dancing. Get the inspiration, feel the drive and the sensation of being with the gang, of being with friends, of being with girls, of being lovers of feeling great. Let’s go to the Festival with Michel Montecrossa and his girls for the ultimate movie experience and music journey to Cyberrocker land. 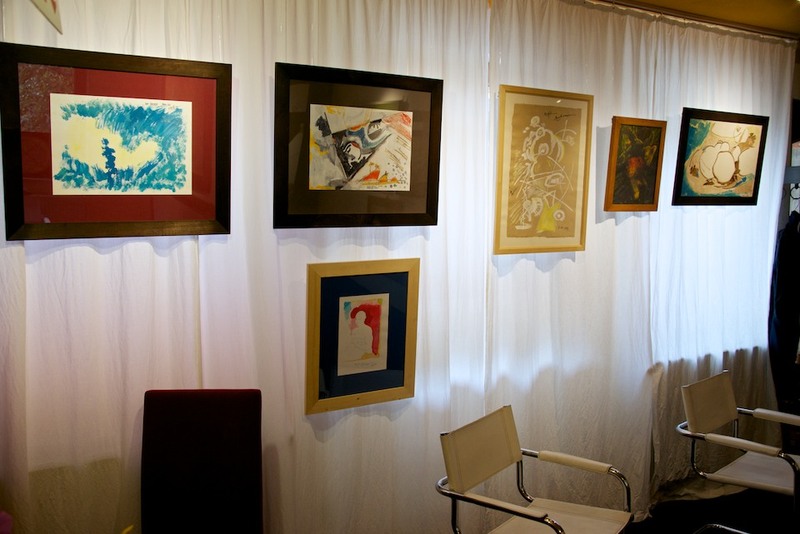 Permanent Autumn-Winter exhibition of Michel Montecrossa paintings and drawings opening hours: 3 a.m. till 7 a.m. every day from September till March. 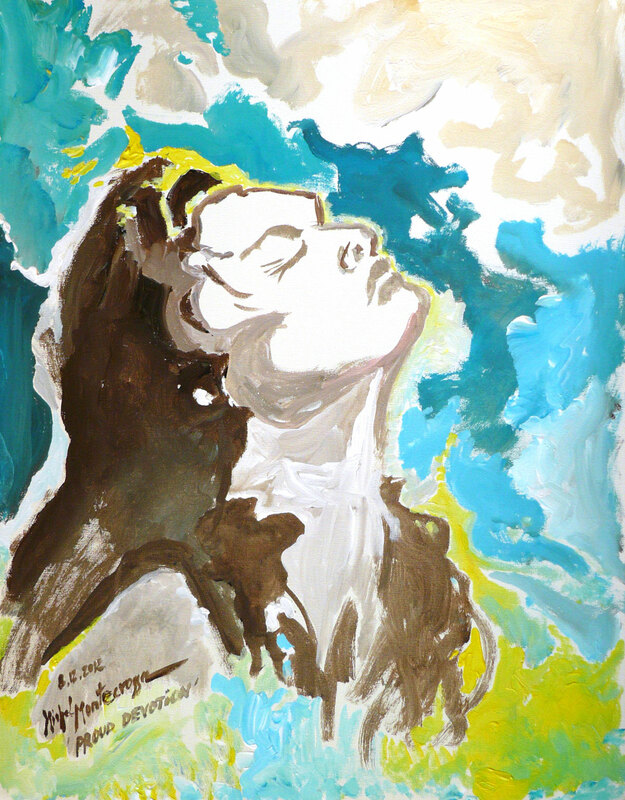 Preview of the extensive collection of Michel Montecrossa here: Paintings & Drawings. 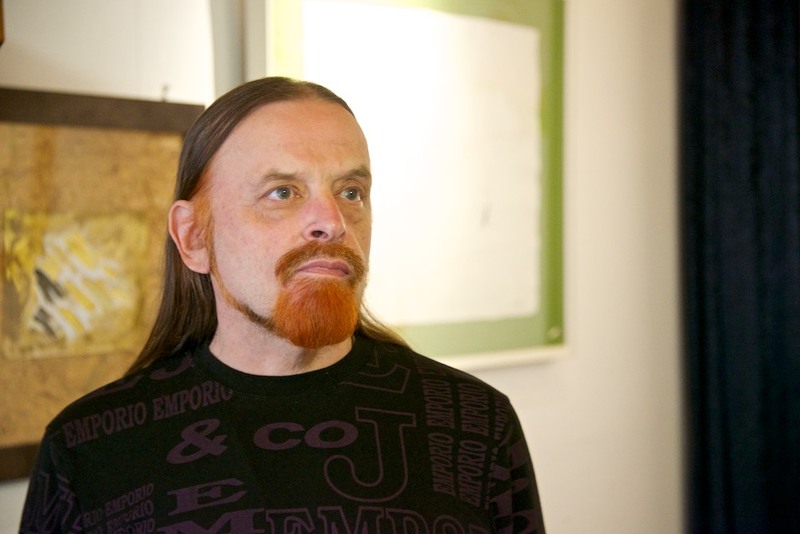 ‘My Movies’, released by Filmaur Multimedia on DVD, features a stimulating speech by Michel Montecrossa about his art of movie making, including excerpts from ‘The House Of Time‘ and ‘Talkin‘ Future World‘. The speech was held at the International Free Cinema Film Festival in Mirapuri. The ‘The Spirit of Woodstock Friendship Session’, released by Mira Sound Germany on Audio-CD and DVD, was recorded live during the concluding concert of the Spirit of Woodstock Festival on Sunday 5th August 2012 as a celebration of its 20th birthday. 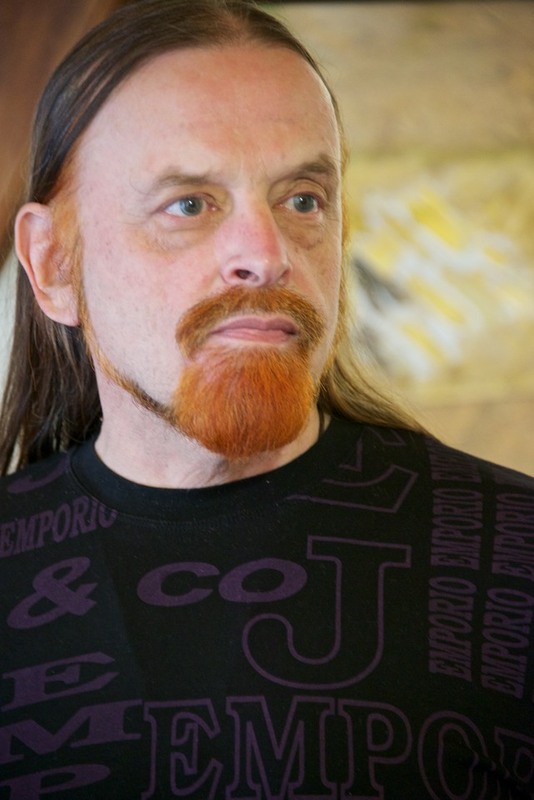 It was a spontaneous coming together of festival musicians with Michel Montecrossa to take it easy without rehearsing and to just play for the joy and happiness of the audience as well as of the musicians. The musicians: Michel Montecrossa (vocals, guitar, harmonica), Fabieaux Arratoi (E-piano), Ale Beera (E-bass), Lee Chapman (drums), Dario Menestrello (E-guitar), Max Fontana (vocals), David Butterfield (guitar), Diana Antara (accordion). Don’t Cheat The Secrets Of The Green World! 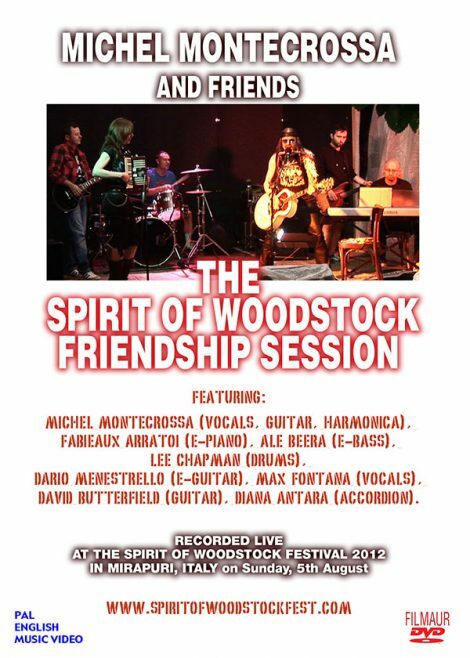 “The ‘Spirit of Woodstock Festival Friendship Session’ is a spontaneous coming together of festival musicians who asked me to play together with them on the final day of the Spirit of Woodstock Festival 2012 in Mirapuri. I said ‘Yes’ and right away wrote three songs which I performed together with Fabieaux Arratoi, Ale Beera, Lee Chapman, Dario Menestrello, Max Fontana, David Butterfield and Diana Antara on the following day. The titles of the three songs are ‘Don’t Cheat The Secrets Of The Green World’, ‘Talkin’ Reality – Talkin’ Consciousness Change’ and ‘She’s The Great Morning, The Wonderful Day’. After the performance of these three songs Max from Gitanes contributed the song ‘Staffette’. Then I added one more song with the title ‘Love And Unity Smile’ which we played twice for the joy of all. 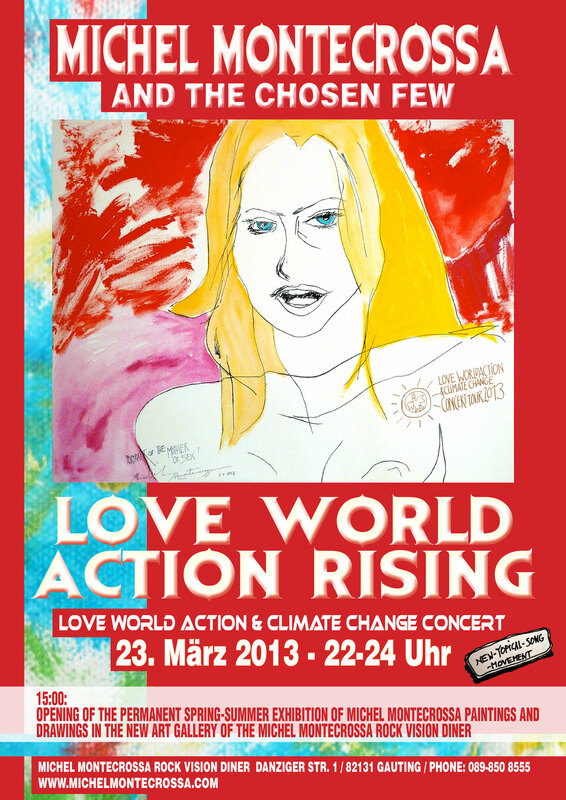 Michel Montecrossa and The Chosen Few will play the ‘Love World Action Rising’ Concert on March 23rd; 2013 at the Michel Montecrossa Rock Vision Diner in Gauting, near Munich (Germany), The Concert starts at 22:00 (10:00 pm). On the same day, March 23rd; 2013, at 19:00 will take place the opening of the permanent Spring-Summer exhibition of Michel Montecrossa’s paintings and drawings in the New Art Gallery of the Michel Montecrossa Rock Vision Diner. 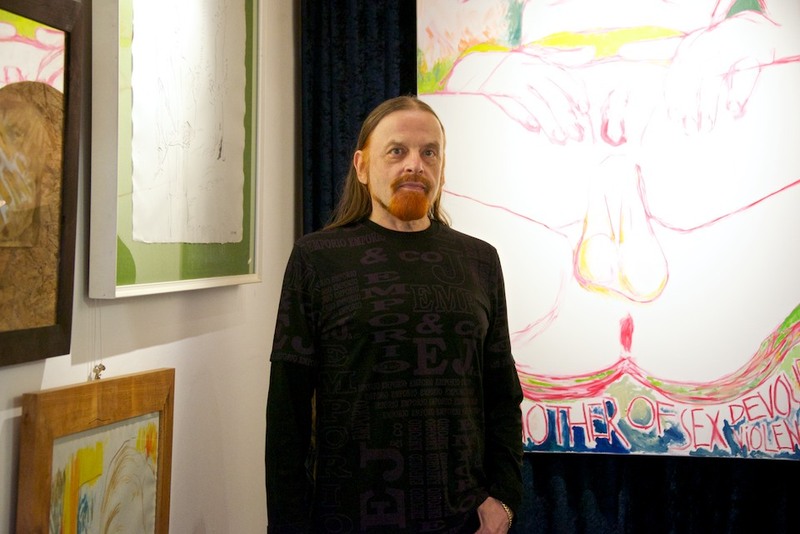 from 19:00: Opening of the permanent Spring-Summer exhibition of Michel Montecrossa paintings and drawings in the New Art Gallery of the Michel Montecrossa Rock Vision Diner. – Michel Montecrossa in his ‘Happy Future and Climate Change’ speech. Three poetic music-movies by Mirakali expressing the World of Love. ‘I Have A Vision’, is Michel Montecrossa’s New-Topical-Song, released by Mira Sound Germany on Audio Single and DVD, for Obama’s USA presidential inauguration 2013. 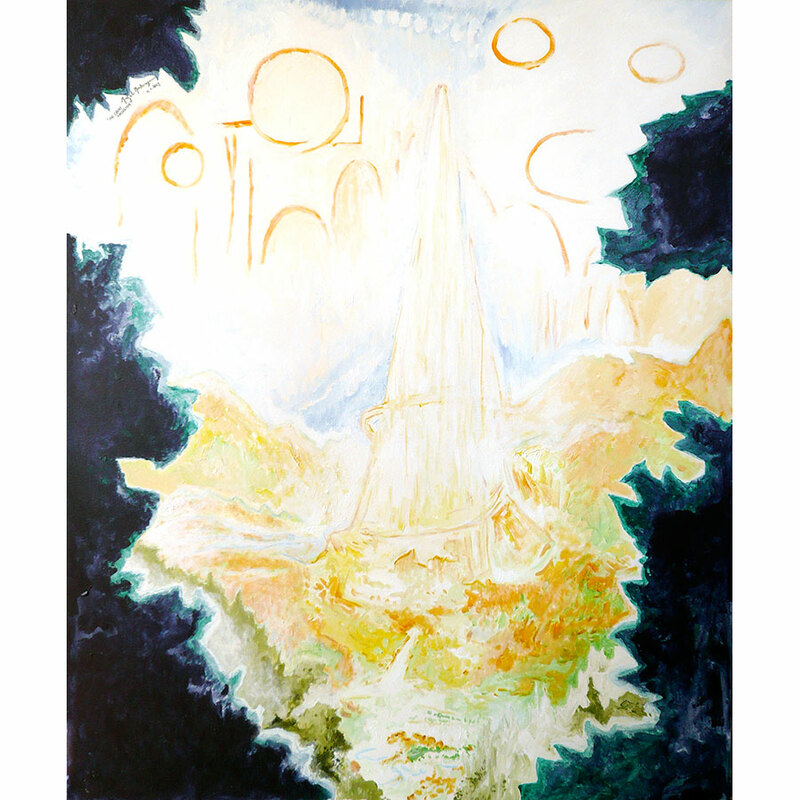 In this song Michel Montecrossa presents the vision of a straight forward five-steps-program for a future of worldwide unity manifesting as the United States of Planet Earth and the conquest of the next step of human civilization through the ushering in of Space Age. I have a vision / of the United States of Planet Earth. I have a vision / of the U.S.A. taking the lead on this way. I have a vision / of the U.N. changing into the world government. I have a vision / of the United Humanity moving into space age. 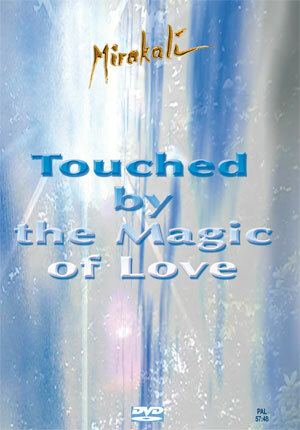 I have a vision / of the living celebration of Humanity / in a World of Peace and Love / and Joy unending. On Saturday, February 23rd 2013 Michel Montecrossa and his band The Chosen Few will play the ‘Love World Action For A Better Future Concert’ at the Omnidiet Music-Hall in Mirapuri, Italy, starting at 22:00 (10:00 pm).